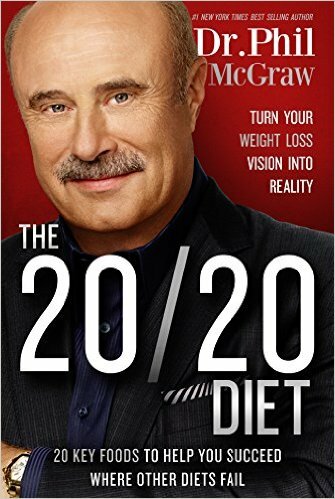 In The 20/20 Diet, Dr. Phil McGraw identiﬁes seven reasons other diets fail people over and over again: hunger, cravings, feeling of restriction, impracticality and expense, boredom, temptations, and disappointing results or plateaus. Then, he addresses each of these roadblocks by applying the latest research and theories that have emerged since his last best seller on the same topic, The Ultimate Weight Solution. Dr. Phil and his team have created a plan that you can start following right now and continue working for the rest of your life. In this diet, readers will start by eating only 20 key ingredients, called the “20/20 Foods,” which theories indicate may help enhance your body’s thermogenesis and help you feel full. But that's just the beginning. This book explains why you haven't been able to lose the weight before, and empowers you with cognitive, behavioral, environmental, social and nutritional tools so you can ﬁnally reach your goal, and learn lifelong healthy habits to maintain those results.